Donald Trump wants to cancel government plans to build two new Air Force One jets. The president-elect said in a tweet Tuesday that the new Boeing (BA) 747 jet that's being built to carry "future presidents" already costs more than $4 billion, and that he wants to cancel the order. Asked by reporters Tuesday morning about the tweet, Trump responded, "Well the plane is totally out of control. It's going to be over $4 billion for [the] Air Force One program," he said. "And I think it's ridiculous. I think Boeing is doing a little bit of a number. We want Boeing to make a lot of money, but not that much money." Trump did not say why he believes the planes will cost "more than $4 billion." Boeing says it currently has an Air Force One contract worth $170 million. A Boeing source familiar with the program told CNN that not even the company can estimate the cost of the program at this time, since "the Pentagon has not even decided all the bells and whistles it wants on the new Air Force One." Without knowing all the security features it is hard to estimate the cost, the source added, and the Air Force isn't even sure whether it wants two or three of the planes. "We are not sure where he is getting that number from," said the Boeing official. "The statistics that have been cited [by Trump], shall we say, don't appear to reflect the nature of the financial arrangement between Boeing and the Department of Defense," said Obama White House spokesman Josh Earnest. In an official statement, Boeing said that its current contract allows it "to help determine the capabilities of these complex military aircraft that serve the unique requirements of the President of the United States." The company was caught completely off guard by Trump's comments and contacted the president-elect's team soon after his tweet, a Boeing official told CNN. So far the Air Force has budgeted $2.9 billion through 2021 for two new Air Force Ones. 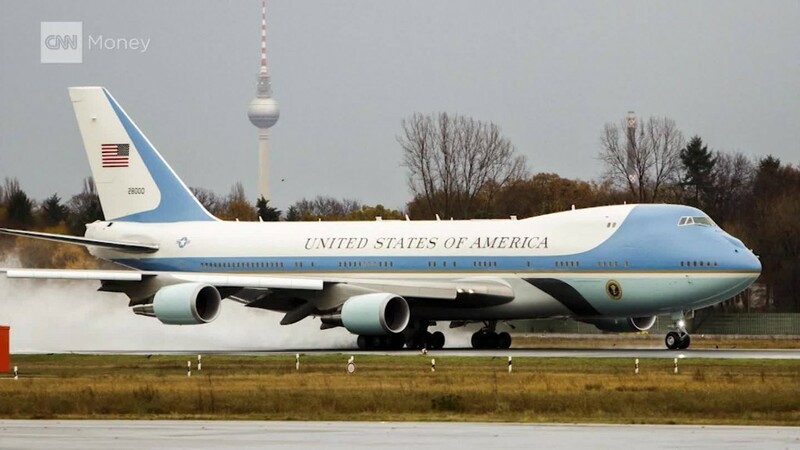 They'll replace the aging pair of blue, white and polished aluminum 747-200Bs currently serving the President. The new planes aren't expected to be ready to fly until 2022. The Air Force has already spent about $93 million preparing to build the new jets, according to Defense Department budget documents. That $93 million is included in Boeing's current contract. Manufacturing has yet to begin. "We look forward to working with the U.S. Air Force on subsequent phases of the program allowing us to deliver the best planes for the President at the best value for the American taxpayer," said Boeing's statement. Trump's comment emphasizes that he's looking for ways to cut government costs where he can, according to his spokesman Jason Miller. "The point that the President-elect was making here was that a $4 billion price tag is a very big number, the taxpayers want to make sure we're seeing absolute accountability and that the government is doing the best to drive costs down," he said. "This Air Force One that we're currently flying on is in great shape, thanks to the skilled professionalism of the men and women in the United States Air Force," Earnest said. "It is, however, an aircraft that is nearing the end of its projected life." 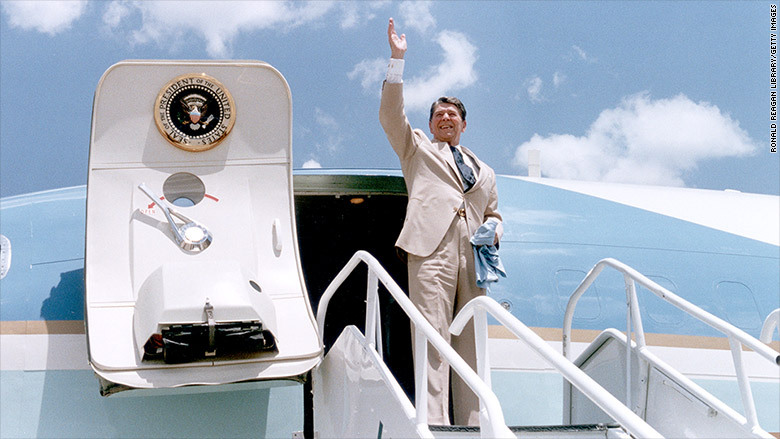 The two Air Force One jets currently in use were ordered by President Reagan -- the interiors were selected by Nancy Reagan -- and were delivered in 1990 during George H.W. Bush's administration. Both are getting increasingly expensive to fly and maintain. The Air Force has yet to place a formal order for the new planes. It has chosen the latest version of Boeing's jumbo jet, the 747-8, as the platform for the new Air Force One planes. The list price for a basic 747-8 is about $378.5 million. The current planes have 4,000 square feet of interior floor space. The 747-8 is a longer and more spacious version of the current version, and features four General Electric (GE) engines. Those expand its range by 1,000 miles thanks to considerably better fuel economy than the 1970s-era engines used on the current Air Force Ones. Boeing's first presidential plane was used by Franklin Roosevelt back in 1943, and it has made every Air Force One since President John Kennedy. Boeing is the nation's largest exporter. But it has recently been criticized by Trump for both its deal to sell commercial jets to Iran and its decision to open a factory in China to finish passenger cabins on planes purchased by Chinese airlines. Shares of Boeing were slightly lower after Trump's comment. In January of 2013, when the Boeing 787 Dreamliner was grounded by problems with its batteries, Trump tweeted that he had bought just bought stock in Boeing at depressed prices, calling it a "great company!"